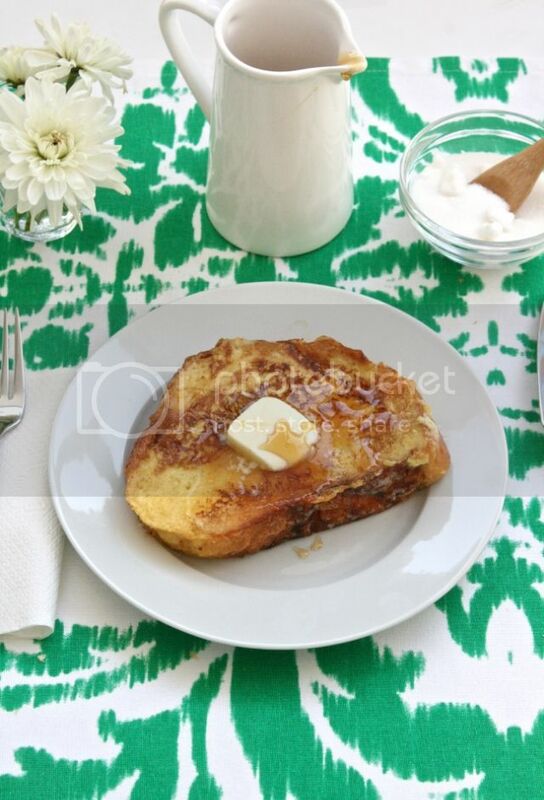 5-Ingredient Eggnog French Toast—My Latest Recipe On Freutcake! / Hey, EEP! 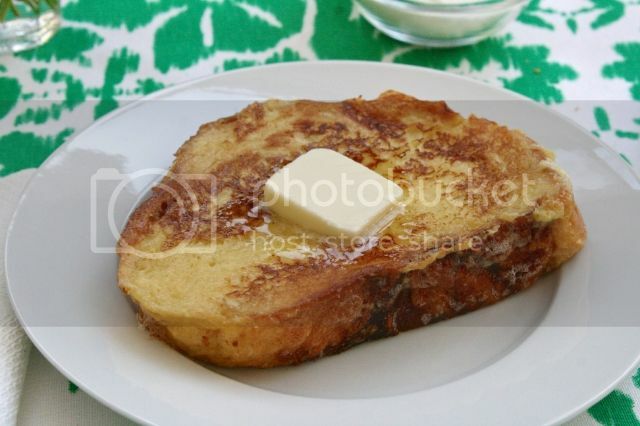 5-Ingredient Eggnog French Toast—My Latest Recipe On Freutcake! Eggnog is one of my favorite seasonal grocery store staples. It's inexpensive, festive and completely multipurpose. Turn a carton into eggnog pudding, whisk a little into whipped cream or use it to make the super-easy batter for my Eggnog French Toast on Freutcake today! Straight from the carton, the 'nog already contains 4 batter basics: milk, sugar, eggs and nutmeg. 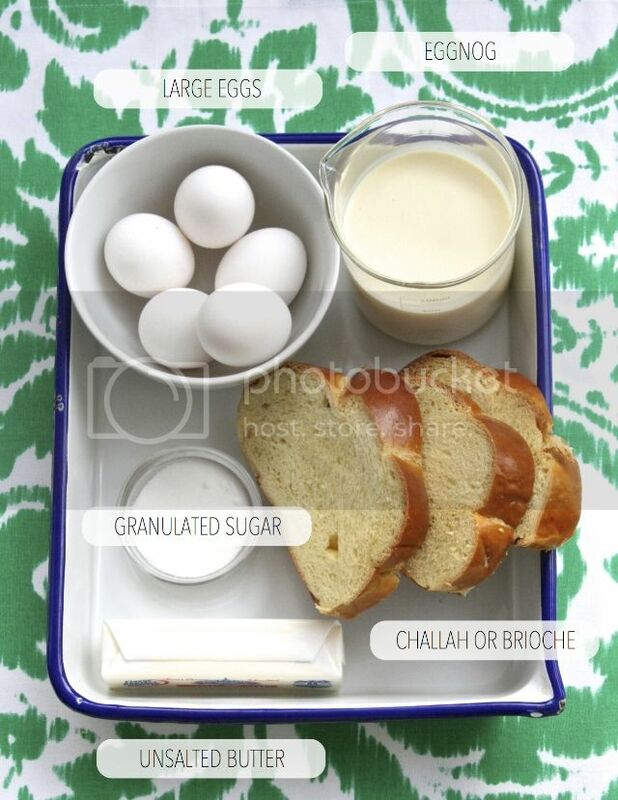 Whisk in a few other ingredients, add good-quality brioche or challah bread and cook until golden brown. The perfect Christmas-lover's breakfast with hardly any fuss! My favorite eggnog is from Ronnybrook Farm Dairy—it's a little more expensive than other brands but it's worth it! Another solid options: Turkey Hill Eggnog or the Premium Eggnog from Trader Joe's. For this and more of my 5-Ingredient recipes head over to Freutcake (Leah has posted a ton of fabulous Christmas projects this week) and be sure to let me know what you think. Cheers! xo! 1. Whisk the eggnog, eggs and sugar in a shallow baking dish until combined. 2. 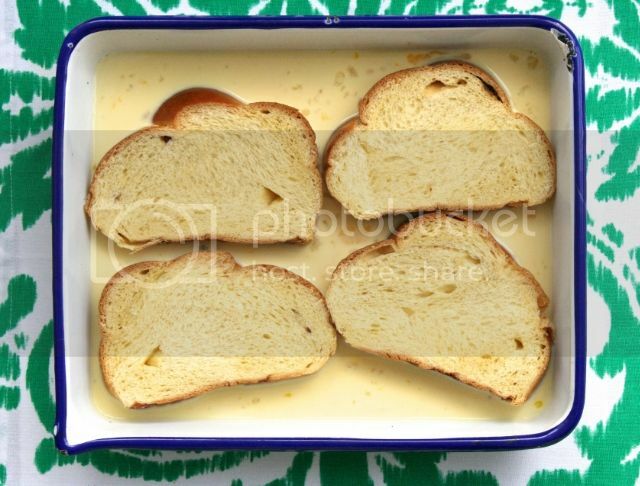 Soak the bread slices (in batches if necessary) until saturated, about 10 minutes per side. 3. Set a wire rack on a rimmed baking sheet and place in the oven; preheat to 200˚F. Melt 4 tablespoons butter in a skillet over medium heat. Fry half of the bread slices until golden, 2 to 3 minutes per side. Keep warm on the rack in the oven. Repeat with the remaining butter and bread slices. 4. Divide French toast among plates. Serve with more butter and sugar for sprinkling, if desired. Bonus: If you're willing to splurge on 1 extra ingredient, serve with grade A maple syrup or stir a glug (or 2!) rum into the batter before soaking!